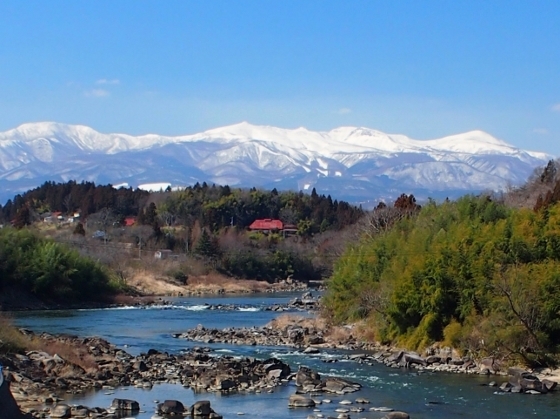 Thanks to a high pressure system over Japan on this last day of winter season, clear sky covered all over Fukushima including Adatara Mountains. True sky over Mount Adatara was not an exception as shown above, which was viewed from Chieko-Ohashi Bridge at Nihonmatsu City. The bridge over the Abukuma River was named after an artist Chieko from this city, who described the sky over Mount Adatara as a "true sky". 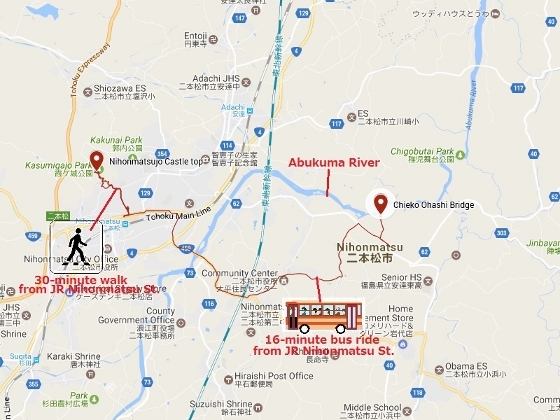 The location is 16-minute local bus ride from JR Nihonmatsu Station. I also stopped at Kasumigajo Castle Park in the city, where I hiked on top of Nihonmatsu Castle ruins called Tenshudai. 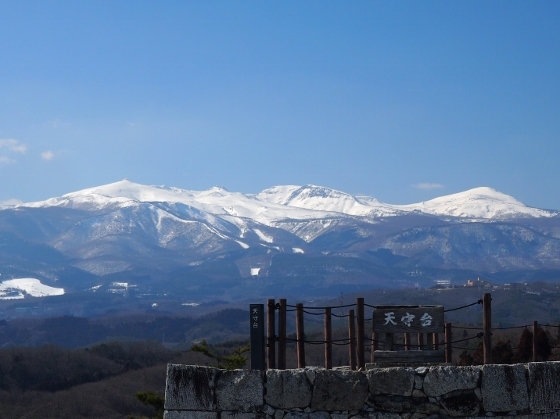 From the height of 345m above sea level, I could also see snow-capped Adatara Mountains under the true sky. Tenshudai is located about 30-minute walk from JR Nihonmatsu Station. At the entrance of Kasumigajo Castle Park (a National Historic Site), there was a memorial statue of boy soldiers as shown above, all of whom under 17 years old fought against New Government forces in Boshin Civil War (1868) and were defeated. 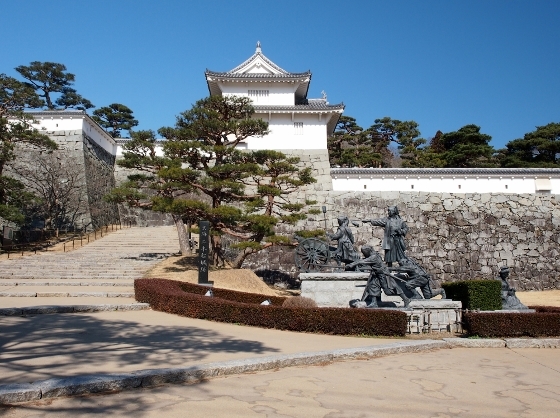 The park includes all the Nihonmatsujo Castle ruins and grounds.